For chunky applesauce, peel apples, then core and dice. Place in a large pan. Add apple juice concentrate, then cover and cook over low heat, stirring often, until apples are soft. Mash slightly with a fork if desired, then stir in cinnamon. Serve hot or cold. 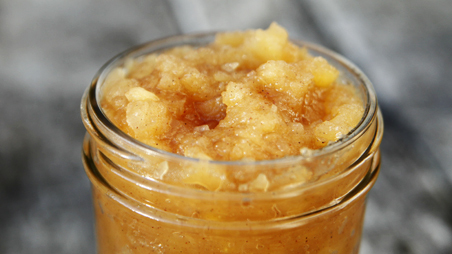 For smoother applesauce, cut apples into quarters and remove cores. Chop finely in a food processor. Transfer to a pan and add apple juice concentrate and cinnamon. Cover and cook, stirring often, over low heat until tender, about 15 minutes.